Bang & Olufsen has revealed the BeoLab 20, a wireless floorstanding speaker that packs a more powerful sound engine than any of its other speakers. Following the launch of the BeoVision Avant 4K TV, Bang & Olufsen has released the floorstanding BeoLab 20 wireless speaker to match. The BeoLab 20 features a new digital sound engine that provides more processing power than any other speaker from the company for its size. It also uses Bang & Olufsen's Adaptive Bass Linearisation technology, which monitors the low end and reduces bass throughput in response to extreme peaks. Each speaker also packs a 10-inch dual-coil bass unit in a separate 18-litre sealed box with two 160-watt class D amplifiers, and a 10-inch dual-coil bass unit in a separate 18-litre sealed box with two 160-watt class D amplifiers. The wireless WiSA receiver lets you sync up to other Bang & Olufsen speakers including the company's 4K TV, which will recognize the speaker model and its placement in the room, and adapt its output accordingly. "Combined with the active speaker's huge power reserves, BeoLab 20 delivers exquisite results in the midrange, and also tight, controlled bass with an incredibly strong punch. You will not need a separate subwoofer with these speakers," said Michael Langager, Bang & Olufsen Vice President. 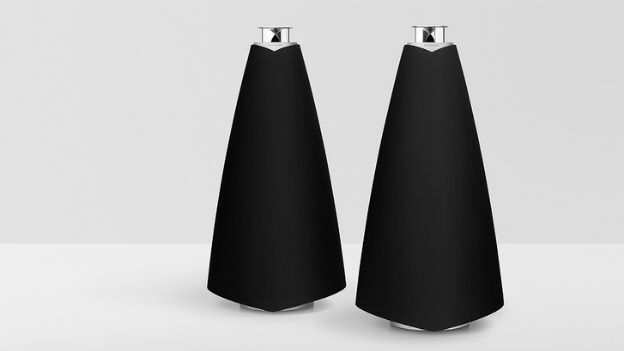 The speaker is individually priced at £3,748 or you can grab the pair for £7,495. The BeoLab 20 speakers are available now from Bang & Olufsen stores worldwide.